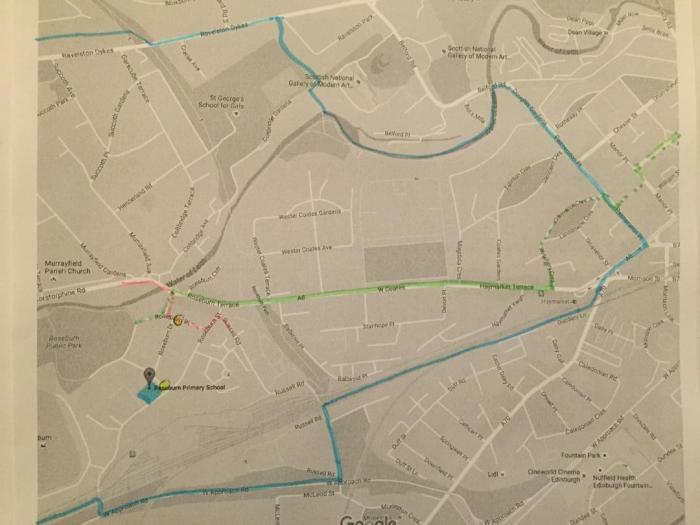 Pink — Rat run which will be closed as part of cycle path development. There is an ongoing issue at the school with busy traffic and dangerous parking outside the school. I feel the school is stuck in a vicious circle as parents drive children to school to keep them safe from traffic and so create more traffic which puts parents off letting children walk or cycle to school The catchment area is small, so walking and cycling should be good options for the children, and this would reduce the danger from parents driving and dropping children off. 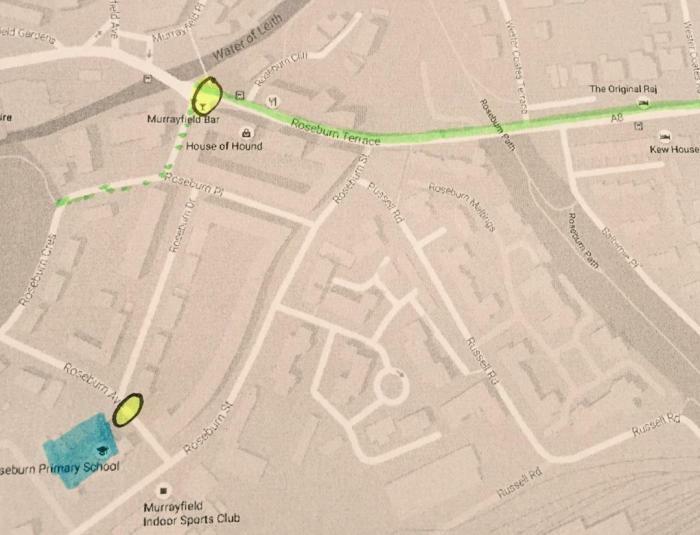 Currently, the options for cycling from Haymarket to Roseburn are poor, with either the busy main road or the route I used to take along Haymarket Yards, Balbirnie Place and Russell Road. This second route has dangerous sections with tram tracks, a section with no cycle path at all, and 2 busy roads to cross. The new cycle path would be a vast improvement and I would be happy to let my child cycle on it. Option A has just one busy road crossing (A8) at a point that already has a lollipop crossing. 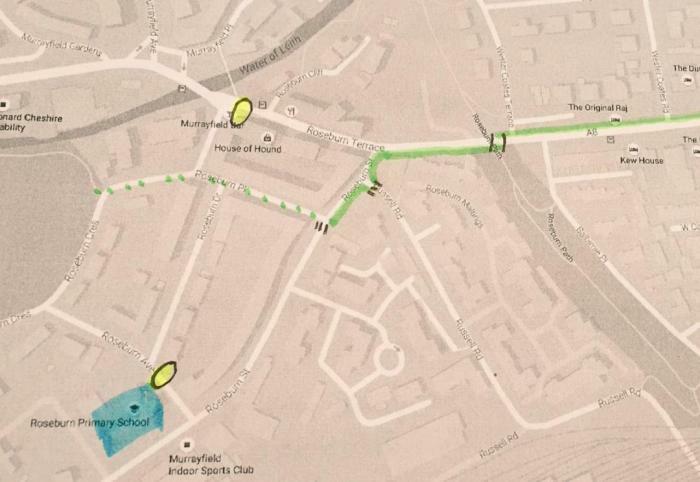 Option B crosses three busy roads (A8, Russell Road, and Roseburn Street), with no lollipop supervisor. This means that option B cannot be considered a safe route to school, and if B is chosen then this will be a lost opportunity for the children at Roseburn. Only option A provides a safe route for children, in catchment, travelling to Roseburn Primary School. Option B – There are 3 busy roads for children to cross, unsupervised.